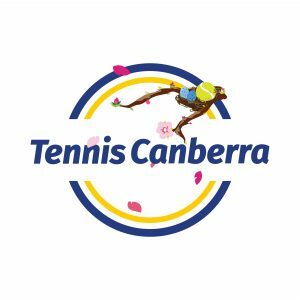 Our very popular Social Doubles gives the opportunity for players of Tennis Canberra to feel tennis at a competitive level in a fun social environment. 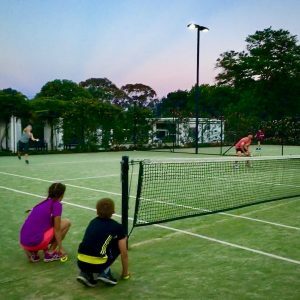 Matches are modified so players can get their weekly tennis fix and a modified scoring system keeps all matches interesting until the very end. Sign up with a friend or if you don’t have a partner we’ll find you one. Our competition format is designed so all players are playing matches to suit their standard. Friday May 3rd or when our player limited has exhausted. Will finish approximately 8-10 weeks after the season launch. Each season will see 7-8 rounds scheduled. No matches will be played during the school holidays and any rainouts will postpone any fixtures to the following week. We understand some players struggle to make certain times. We advise if you are going to sign up you are able to make at least a 7pm session and either 6pm & 8pm. We will do our very best to schedule you at your preferred time however we do ask you to be flexible from week to week. *Multiplied by number of rounds in the season (typically 7-9 rounds pending sign up). Play a tie-breaker at 3-games-all (first to 5 points) – Player 1 (team 1), players 2 (team 2) & player 3 (team 1) serves 2 points in this order. Player 4 (team 2) serves 3 points – if necessary. The first question we get asked is what if I don’t have a partner? 50% of players sign up individually and we’ll pair you up with a partner! Sign up individually and be sure to let us know who you would like to play with. Don’t stress if you don’t understand these rules. All rules will be explained during the first round. We’ve tinkered with the rules of the years to maximise the social competition aspect of tennis.